Just finished reading “Slavery by Another Name: The Re-Enslavement of African-Americans from the Civil War to World War II” by Douglas A. Blackmon. This book demolishes one of the biggest misconceptions of American history – that slavery came to an end in 1865 at the end of the Civil War. In actuality, it lasted until the dawn of World War II. This book was a real eye-opener. I learned a lot, and I was sometimes shocked by how brutal and systematic the new slavery was. While the author does discuss the oppression black sharecroppers endured, the main focus is on the convict-leasing system in the South and how tens of thousands of blacks were rounded up for petty crimes or no crimes at all, and forced to labor on farms and also in mines where many would die from disease, exhaustion, or the brutality of their supervisors. Besides this, there was also rampant sexual slavery of black women(this deserves its own book). In many ways the neoslavery was often worse than antebellum slavery since their masters – who didn’t own them for life and could easily replace them – had little incentive to keep them healthy. Some of the stories rival what happened in Nazi death camps. The author goes into great detail concerning which individuals and companies benefited from the neoslavery and the loopholes they exploited to get away with it. Early efforts at putting an end to the neoslavery either by the federal government or outraged locals were almost always futile. The federal government finally put a stop to it during World War II because they feared the German and Japanese governments would use the existence of neoslavery in their propaganda broadcasts, which they did. Even after the Civil Rights movement, racism and discrimination are still with us and much still needs to be done, especially when it comes to law enforcement. Falsely believing that slavery ended in 1865 is a huge impediment to racial healing and understanding. Certain misconceptions just won’t go away. While some of them may be virtually harmless, like how a lot of people mistakenly believe Dimetrodon is a dinosaur(it is actually a synapsid, see my post “I don’t eat dinosaurs” for more info), some can have real world consequences on policy and how we live our lives. One of the more annoying misconceptions I encounter when it comes to the animal kingdom is the idea that ferrets are rodents. I can’t count how many times someone has told me or I’ve overheard someone say “I could never keep a ferret as a pet, they are rodents!”(whether or not true rodents make good pets is beside the issue of this post). 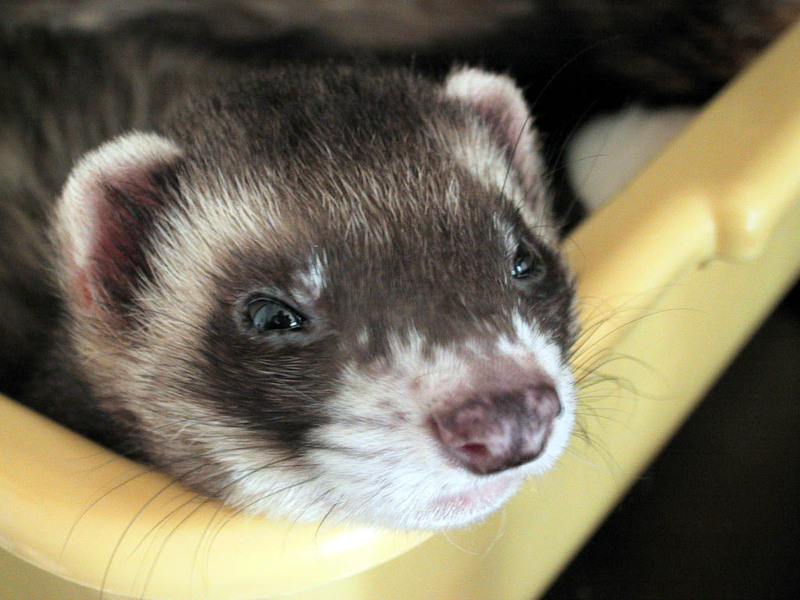 Ferrets are not rodents, they are members of the glorious mustelid or weasel family. Mustelids belong to the large order carnivora, which means they are actually more closely related to other members of carnivora like dogs, cats, and bears than to rats and mice. What ferrets and other mustelids do have in common with rodents is their common mammalian heritage, which would also make them distant relatives to humans. Yet this kind of ignorance persists, even though it is so easy to correct by merely looking it up online. Why does this misconception matter? There are often local, and state laws against keeping ferrets, and this kind if ignorance can influence policy. It can also affect the attitude some people have toward this animal, or their close relative the badger, which is getting treated like a pestilence in the U.K these days. See articles below for more info on this subject. Other members of the mustelid family include minks, polecats, and wolverines, the largest and most ferocious of mustelids. Skunks used to be classified as mustelids, but recent genetic evidence has lead to them being reclassified in a closely related group. Don’t worry, skunks have been doing okay since reclassification; they are especially good at stinking up my neighborhood at night. So this misconception has far more profound implications than thinking Dimetrodon is a dinosaur. 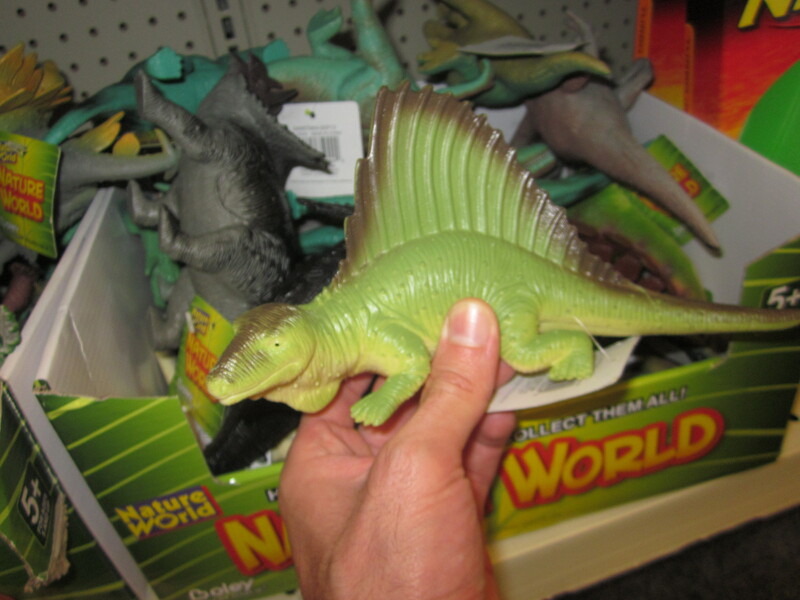 Sure, the toy section at the local pharmacy may put the toy Dimetrodons with the dinosaurs, implying it is a dinosaur. Truth be told, Dimetrodon(or “cousin Dimi” as I affectionately call him sometimes, since Dimetrodon is more closely related to us than to dinosaurs) was not a dinosaur and went extinct long before the dinosaurs roamed the earth, but no one is harmed by this. Other misconceptions that bother me, like Sikhs being thought of as Muslims, or people thinking Turks, Persians, and Pakistanis are Arabs are also disturbing, but that would require another post or two. 3) Badger Cull – What’s the point? 4) So most farmers support the badger cull? Erm, no actually, they don’t. Beriberi. Pellagra. Scurvy. These nutritional deficiency diseases have such short, pithy names, it should be difficult to forget them. But forget them we have, since in the developed world they are relatively uncommon nowadays. On the other hand, they are still common in the developing world. 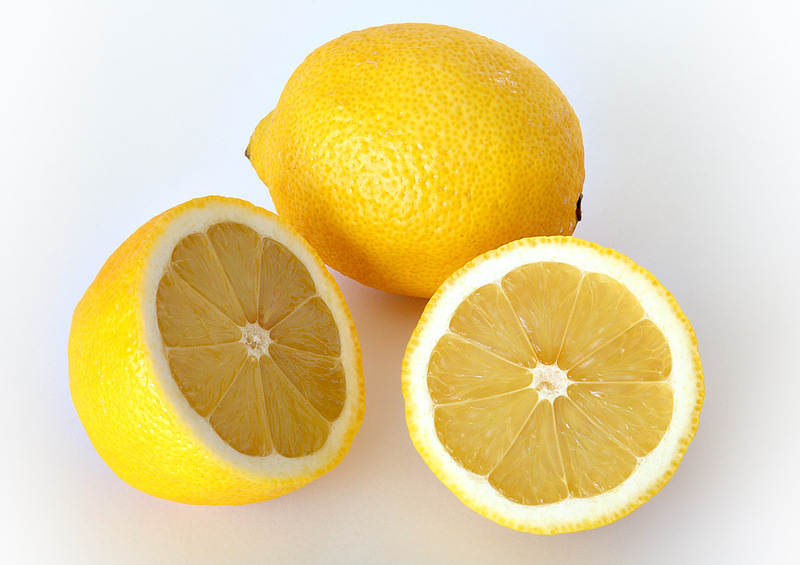 Scurvy, which is caused by lack of vitamin C, used to be much more common in the west. Sailors at sea seemed to be particularly prone to getting scurvy, some even dying from it, for reasons not well understood centuries ago. Scurvy is characterized by bleeding gums, spots on the skin, fever, weakness, and depression. These symptoms result from the body’s inability to produce collagen, which requires vitamin C(ascorbic acid) to be synthesized. Collagen is an important protein that is the main building block of the body’s connective tissues. It was sometimes mistakenly thought that scurvy was a contagious disease, until it became clear that there was something missing from the sailor’s standard diet of dried meat, dried fish, and grain. Simply adding fresh fruits and vegetables to their diet, in particular citrus fruits, seemed to cure scurvy, though they didn’t know why. The Royal Navy’s solution in the early 19th century was to add lemon or lime juice to their sailor’s daily ration of watered down rum(grog). This is how the word “limey“, the derogatory word for people from Britain originated. Many other countries soon followed the British example(though some used sauerkraut instead of citrus juice), thereby reducing scurvy cases among seamen. It wasn’t until the 1930s that scientists isolated and identified the mysterious “anti-scorbotic” factor(the factor that prevents scurvy), vitamin C. Studying the history of nutrition and nutritional deficiency diseases in particular is a great way to see how science works. In addition to our patient, seven of 11 patients whose records in the institutional database mentioned vitamin C deficiency were women. The age ranged from a neonate to 77 years (mean, 48 years). The most common associated causes were concomitant gastrointestinal disease, poor dentition, food faddism, and alcoholism. Vitamin or mineral deficiencies other than vitamin C deficiency were also found in our patients who had scurvy. The most common symptoms were bruising, arthralgias, or joint swelling. The most common signs were pedal edema, bruising, or mucosal changes. Four patients had vague symptoms of myalgias and fatigue without classic findings, and five had concomitant nutritional deficiencies. Follow-up available for six of 12 patients treated by vitamin C supplementation showed complete resolution of symptoms in five. Patients with scurvy may present with classic symptoms and signs or with nonspecific clinical symptoms and an absence of diagnostically suggestive physical findings. Concomitant deficiency states occur not uncommonly. Taking a thorough dietary history and measuring serum ascorbic acid levels should be considered for patients with classic signs and symptoms, nonspecific musculoskeletal complaints, or other vitamin or mineral deficiencies. In other words, scurvy hasn’t been completely eradicated, and we should be on the lookout for symptoms of it in the elderly who are eating poorly. This doesn’t mean that the elderly or you should be taking vitamin C supplements, though taking the occasional multivitamin for insurance probably won’t hurt. Drinking orange juice or eating enough fruits and vegetables will give you well beyond the 60 mg of vitamin C we need to prevent scurvy. However, there’s no good reason to mega-dose with vitamin C, or any other nutrient for that matter. Homo erectus female reconstruction. Photo from Smithsonian. When was juggling invented? Or at what stage of human evolution were humans capable of juggling? This is a very tough question, since I don’t believe there is any evidence of juggling in prehistory. We know the ancient Egyptians juggled, but we can’t go much further back than that. Could neanderthal man juggle? It is very difficult to say, since they all disappeared about 25,000 years ago, though I swear I run into one of them every now and then. There is some evidence of neanderthal ancestry in modern Eurasians, but this doesn’t help answer our question. They probably could juggle, since they were similar enough to us anatomically. The proper classification of neanderthals divides anthropologists into two waring camps, one claiming they were a separate species of human, the other claiming they are just a sub-species of homo sapiens. I wonder if biotechnology will become powerful enough some day so that we can bring back neanderthal man and help us resolve this issue. 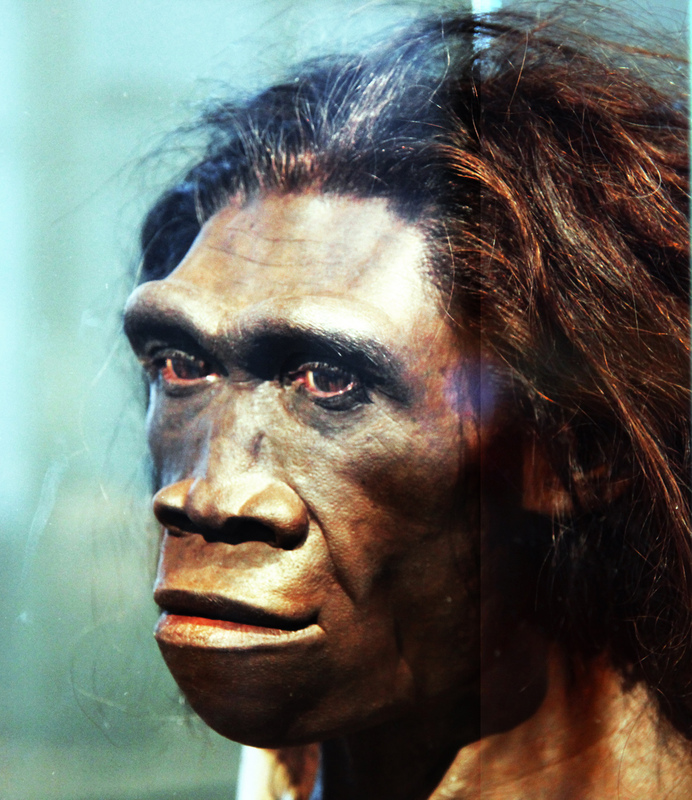 What about our even more distant ancestors, homo erectus and homo habilis? The very ape-like Homo habilis, which lived from 2.33 million to 1.4 million years ago probably couldn’t juggle because they didn’t have upright posture(and maybe they lacked the brain module that allows modern humans to juggle). As for homo erectus, which did have upright posture, and lived from 1.8 million to 143,000 years ago, my unqualified opinion is that they probably could juggle. Homo erectus may have been the first hominids to live in hunter-gatherer societies. The ability to hunt(and use tools, and read) and the ability to juggle may be interrelated. The brain size of homo erectus was on average about 69% of the size of the brain of modern homo sapiens. While they may have been less intelligent than modern humans, it really doesn’t require that much brain power to juggle 3 balls. Homo erectus probably used spoken language to some degree, though maybe not as elaborate as modern languages. As for the first juggler who lived many thousands of years ago, unless someone invents a time machine, we will never know his or her name or anything else about this person. This juggler was most likely a homo sapien or neanderthal, since even if homo erectus was capable of juggling, they probably wouldn’t have wasted time with something like this. Juggling burns calories and prehistoric man had few calories to spare(which is why high calorie foods taste good, since being able to detect and enjoy rich energy sources gave a survival advantage to our ancestors). This is why it is unlikely that juggling predates the agricultural revolution and the birth of civilization. Since this is only a map of the languages/ethnic groups, it doesn’t show the different religious groups of the region(mostly Christian and Muslim of various sects). Some ethnic groups are even divided by religion. The Caucasus has long been a volatile region, similar to the Balkans. Also like the Balkans it is incredibly diverse and is also a frontier region of Europe. 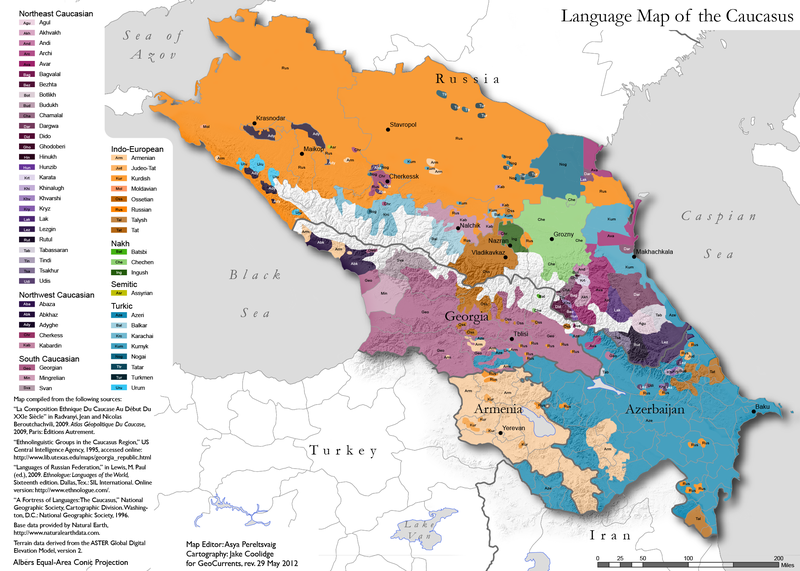 Unlike the Balkans, the Caucasus has so many languages that are non-Indo-European and are isolated and unique to the region(kind of like the Basques in Spain). The Caucasus mountains form something of an informal border between Europe and Asia/The Middle East – to the north is Europe, to the south is the Middle East. Tolstoy’s last novel, Hadji Murat, was about the wars between imperial Russia and the Chechens and other Caucasian peoples. Much more recently, after the fall of the Soviet Union, for nearly two decades there was an almost non-stop war between the Russian Federation and separatists in the semi-autonomous Chechen republic. Though it is no longer a full blown war, there are still occasional skirmishes and attacks in the hilly areas of Chechnya. The Soviet dictator, Joseph Stalin(his real surname was Dzhugashvili) was an ethnic Georgian who was born and raised in Georgia, one of the larger Caucasian ethnic groups. Among his many crimes, he also killed and relocated many Chechens en masse when he lead the Soviet Union. While we are on the subject of mass murderers, I wonder why anyone would want to name their son after a brutal mass murderer like Timurlane. I’m glad the cops finally caught one of the guys responsible for that horrific bombing in Boston. It helps to understand the part of the world they are from, to understand their motives, but this in no way exonerates them from responsibility. My heart goes out to all their victims, and the victims’ families.